Non-steroidal inflammatory drugs (NSAIDs) are amongst the most commonly used medications in the world. In 2010, over 29.6 million adults in the US used NSAIDS on a regular basis,  with over-the-counter painkillers such as ibuprofen being considered safe and harmless. An observational case-time-controlled study, carried out by researchers at Copenhagen University Hospital, Aalborg University and the University of Southern Denmark analysed data from Danish national registries, and they found that NSAID use was linked with an increased risk of out-of-hospital cardiac arrest (OHCA). Of 28,947 people who had experienced and OHCA between 2001 and 2010, 3,376 were treated with a prescribed NSAID 30 days prior to their cardiac arrest. Conversely, no significant risk was associated with the use of COX-2 selective inhibitors. 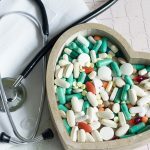 Nonetheless, when an easily accessible medication like ibuprofen is associated with such high risks of cardiac events, some restrictions must be put in place. Non-steroidal anti-inflammatory drug use is associated with increased risk of out-of-hospital cardiac arrest: a nationwide case–time–control study. Sondergaard KB, Weeke P, Wissenberg M, et al., Eur Heart J Cardiovasc Pharmacother 2017; 3(2): 100-7.